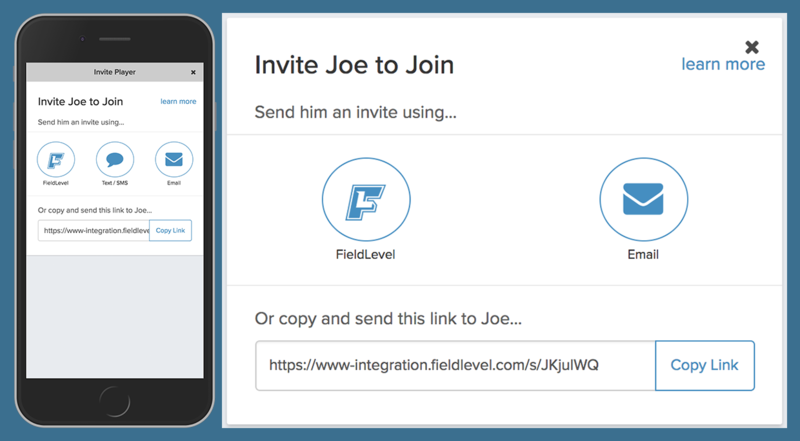 You can invite athletes to join your team on FieldLevel directly from your team roster page. 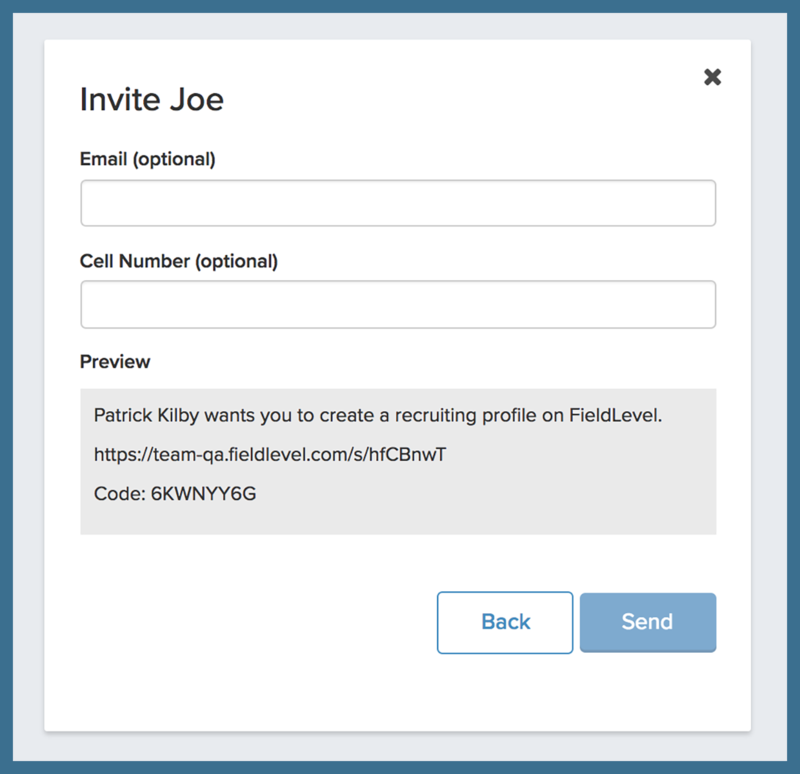 If you opt to send through FieldLevel, as an email and/or text. 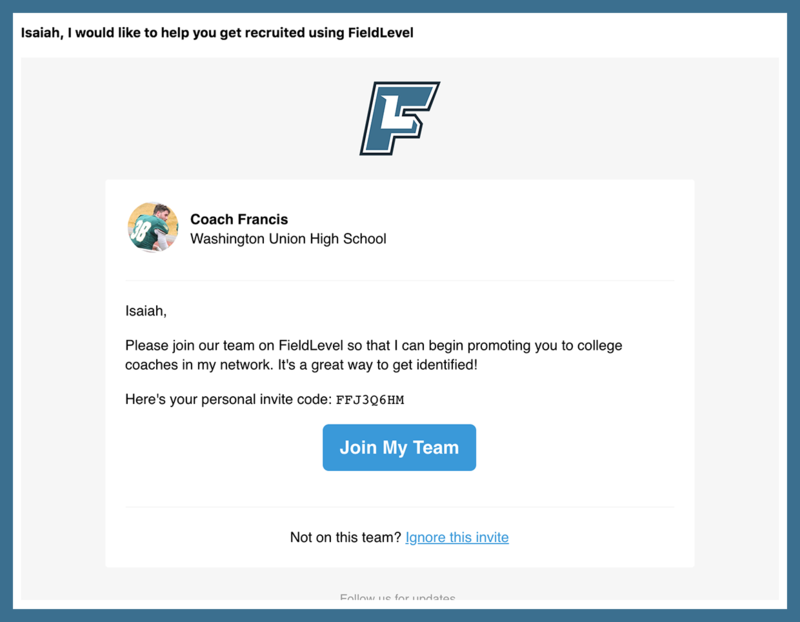 Your athletes will receive an invitation from you asking them to join your roster. 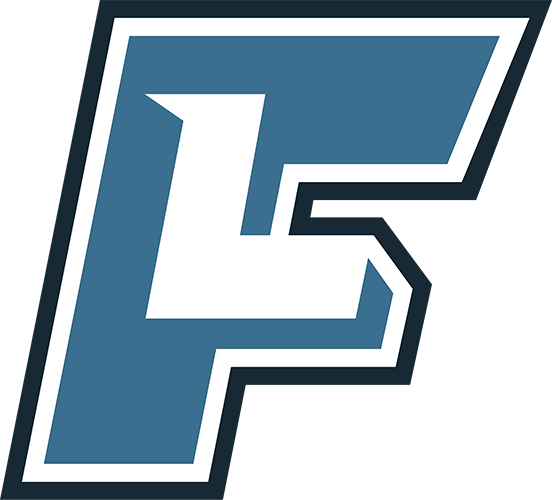 To save time, you can also upload a spreadsheet of your roster (multiple players) directly to FieldLevel. 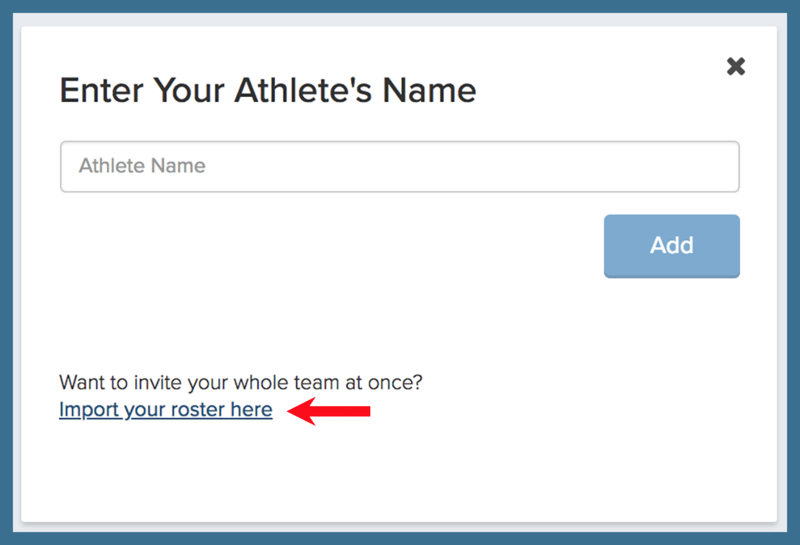 *Note: Please make sure your roster has both names and contact info for your athletes.